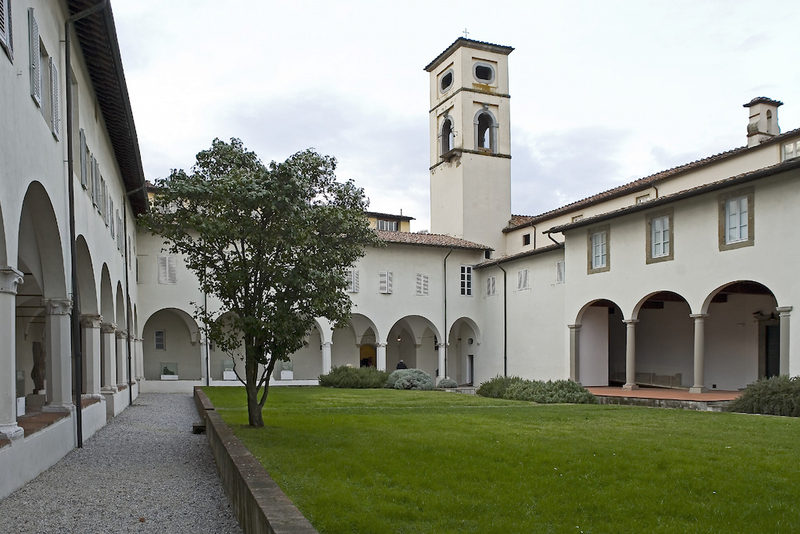 The historical complex of San Micheletto hosts since its birth the Fondazione Centro Studi sull’Arte Licia e Carlo Ludovico Ragghianti. San Michele in Cipriano church was built in 720 in the “borghicciolo”, natural extension of the suburb of San Gervasio. The present church was rebuilt in 1195 because of its bad conditions and the collapse happened in 12th century, reusing ornaments and pillars of the ancient church. From 1260, the church has been named “Ecclesia S. Michaelis de Borghiciolo”. 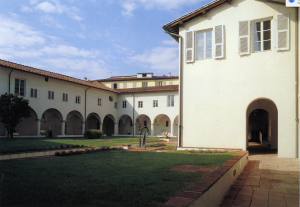 In 1433 the Prior of St Bartholomeo in Silice gave to the nun Marchesana of Pagano Portici, Mother Superior of the nuns of the third Order, St Michele church, an adjacent house, a vegetable garden and other properties belonging to the church. In 1460, the church was consecrated and the monastery had more and more nuns who submitted to the rules of St Claire. From the beginning of the 16th century, to the last years of the 18th century, many works were made, consisting in masonry, decorative and restoration works. 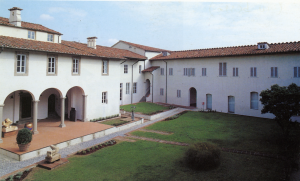 In 1806, according to the law of the Government Baciocchi, which provided the abolition and the confiscation of the properties of the religious communities of Lucca, the monastery of San Micheletto was transformed in stables for the villa of the Princes Buonvisi. 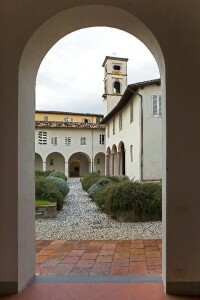 In 1827, with the resettlement of the St Chiara’s nuns, the property was transferred to the religious Community. 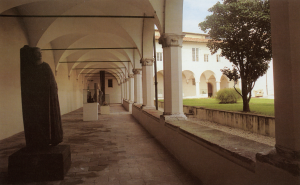 It obtained the closure of the lane between the monasteries of San Micheletto and of the Visitazione and the construction of the wall that divided both the monasteries from the Public Square and allowed the exclusive usage of the property common to the two monasteries. In 1857 the restoration works started. With the Unity of Italy a new threat of the religious orders abolition occurred. In 1896, the Town Council obtained the closure of the monastery still allowing to the nuns the usage of a small part of it. In 1901, the Town Council returned it to the nuns; then, because of the fear of new oppressions, the religious community gave the property of the monastery to the Religious Opera of Holy Land. 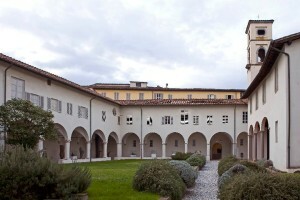 In 1945, the monastery, inhabited by a small number of nuns, started a long series of leases, with school institutes, of most of the premises of the northern wing of the convent. 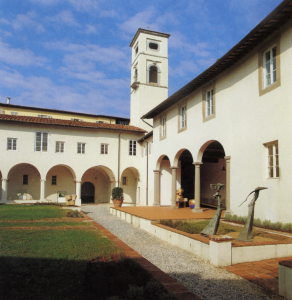 With the leaving of the monastery by the nuns, in 1972 San Micheletto becomes a property of the Cassa di Risparmio di Lucca.